I've always been fascinated with how films reflect the times in which they are made. 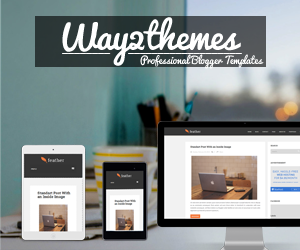 Many may deal with timeless themes that are relevant in any time, or are just so great that their themes resonate through time. It's easy to look back at older films and see how they reflected the contemporary climates, even if it wasn't readily apparent at the time. So its interesting looking at many current films and how they deal, both directly and indirectly, at the global economic crises. Last year, Kelly Reichardt's Wendy and Lucy perfectly captured the plight of a woman who fell through society's cracks in modern day America. It was a haunting reflection of America's dire situation through a deeply personal lens. 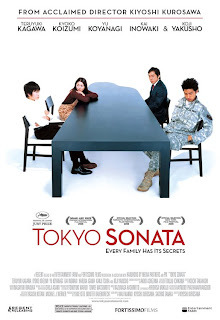 Now along comes Kiyoshi Kurosawa's Tokyo Sonata, which takes a look at unemployment and family woes from a decidedly Japanese perspective. The film centers around a seemingly normal Japanese family. The father, Ryuhei Sasaki (Teruyuki Kagawa), is a successful businessman who finds himself suddenly downsized as part of widespread company cutbacks. Too ashamed to tell his wife, Megumi (Kyoko Koizumi), he continues to leave for work every day, but instead spends his time in bread lines and hanging out with other laid off businessmen. At home, he continues his strict traditionalist attitudes, especially when it comes to his children, Takashi (Yu Koyanagi) and Kenji (Kai Inowaki). 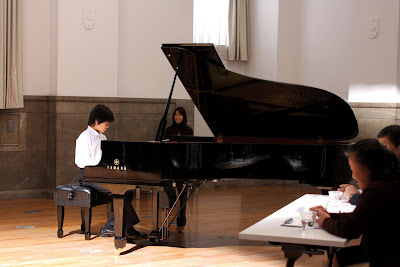 Takashi is a somewhat rebellious teenager who wants to serve Japan by joining the American military as part of their new foreign program, and Kenji is a gifted young child prodigy who wants to focus his life on playing the piano. Ryuhei vehemently forbids the dreams of both his children, seemingly unaware of Takashi's true maturity and of Kenji's immense talent. So unbeknownst to them all, Kenji sneaks off and begins spending his monthly lunch money to get piano lessons in secret, in the process becoming more talented than any of them could have imagined. All the while the stoic family matriarch, Megumi, struggles to hold the family together, while the pressures of her husband's lies and the wellbeing of her beloved children begin to weigh heavily on her. But when Ryuhei takes a job as a janitor at a local mall, his shame and the family's strife comes to a breaking point, and they must all decide where their true passions lie. Coming from outside the Japanese culture, and indeed never having even been to Japan, I found Tokyo Sonata to be not just a fascinating cultural study, but a powerful humanist drama as well. The themes here are undeniably universal; familial bonds and economic strife, and the achievement of ones hopes and dreams are universal constants. Kurosawa takes this family and holds them up to us as a mirror to ourselves. And even when the film threatens to veer off the rails in the final act, he keeps the focus clear, culminating it all in an extraordinarily moving finale. Given the current economic situation in America, the themes of Tokyo Sonata resonate even more. The plight of the unemployed Ryuhei, his shame and the trouble it brings his family is the kind of thing more and more people are being faced with today. Through the power of his finely tuned script and simple, straight forward direction, Kurosawa gives us a family portrait that could easily be transposed anywhere. The ties that bind a family transcend location and culture, and Tokyo Sonata's humane narrative gives us all something to relate to. Where other family dramas fail, this one succeeds. TOKYO SONATA; Directed by Kiyoshi Kurosawa; Stars Teruyuki Kagawa, Kyoko Koizumi, Yu Koyanagi, Kai Inowaki, Haruka Igawa, Kanji Tsuda, Koji Yakusho; Rated PG-13 for thematic elements and brief strong language; In Japanese w/English subtitles. Wonderful, wonderful review. A great lead-in there, establishing the verisimilitude of film reflecting the time we live in. Excellent example too with the Kelly Reichert film, which I completely agree with. The films humanist underpinnings recall Y. Ozu and Japanese cinema in general even if this director is a different bird altogether in many other ways. "The themes here are undeniably universal; familial bonds and economic strife, and the achievement of ones hopes and dreams are universal constants. Kurosawa takes this family and holds them up to us as a mirror to ourselves. And even when the film threatens to veer off the rails in the final act, he keeps the focus clear, culminating it all in an extraordinarily moving finale." Thanks Sam! This is one of those films that really grow on you, and the ending is one of the best I've seen in a while. Indeed Matthew. I dare say this one might still be in contention next December for our listings. I think it will stay with us. I really cant wait to see this. Does it have a SA release date, Nick? You've hit the nail on the head with this review. I usually struggle with articulating my thoughts on movies, especially if a film moves me. That ending set to Debussy's Clair De Lune is one of my faves now. And thank you, Palooka, for that incisive analysis.